This presentation is available for you to use in your presentations to your local board, civic groups or other community organizations. It can be customized to fit several applications and program lengths. If you need additional resources, please contact KAR at 800.264.2185. 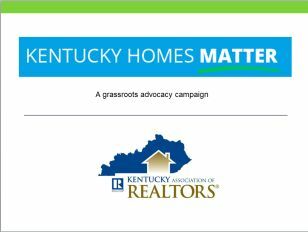 Thank you for helping promote the Kentucky Homes Matter message.